FineLife Mini Air Compressor | BUDK.com - Knives & Swords At The Lowest Prices! 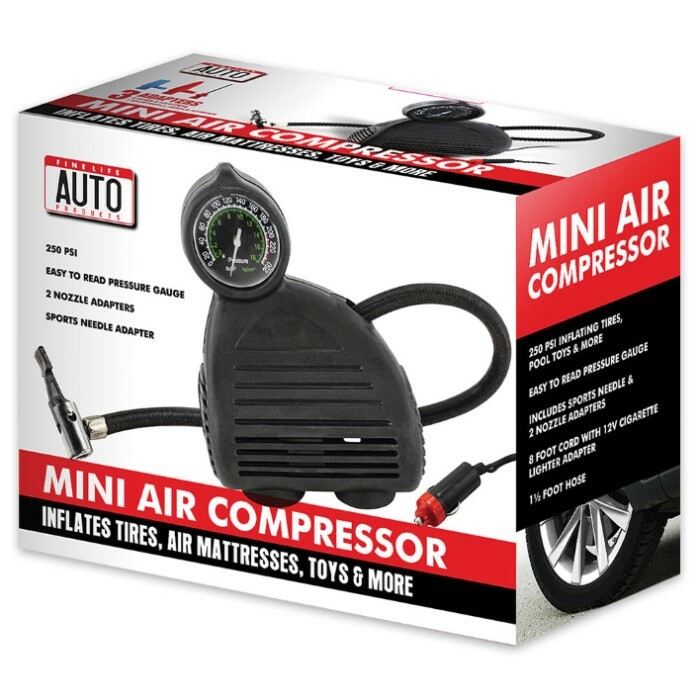 When you add the Mini Air Compressor from FineLife to your vehicle’s gear, you never have to worry about the pressure in your tires being too low. This compact, portable air compressor has an easy-to-read pressure gauge and is rated up to a maximum of 250 PSI. 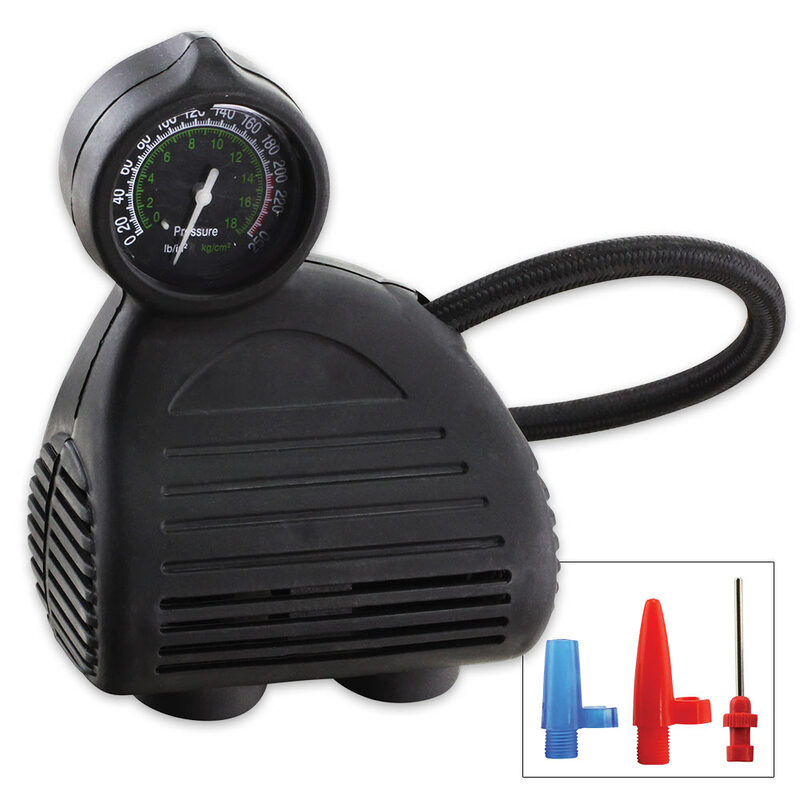 The compressor comes with two nozzle adapters and includes a sports needle and also comes with a 12V cigarette lighter adapter. It has an 8-ft. cord and a 1 1/2-ft. air hose. 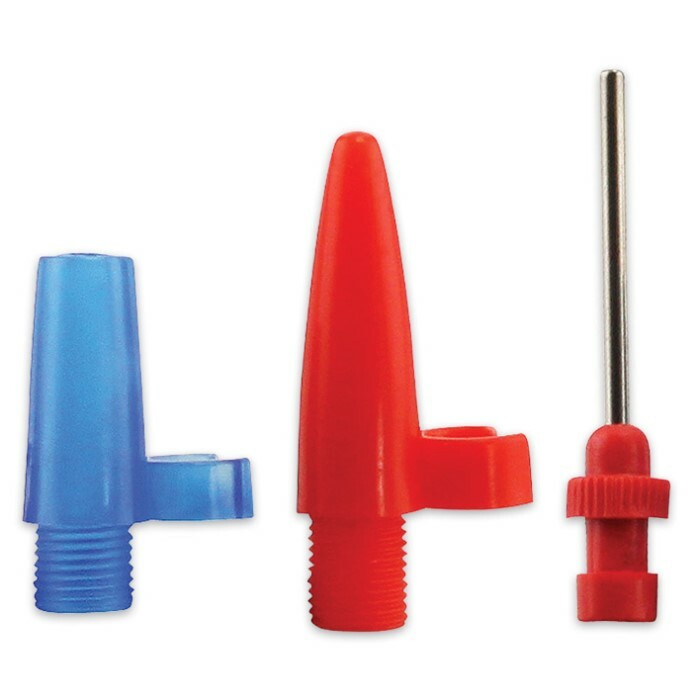 Use it for inflating tires, mattresses, pool toys and more!